You may have heard that clinical audit is a no-brainer for surgeons. In the past hospitals, health departments and even insurance companies held data about our clinical outcomes but they never shared their data with us. The process of Audit allows us to regain control about our clinical performance. It puts me in the KNOW if I am within the expected boundaries and it enhances my conversations with patients when I obtain consent for surgery. Audit protects me from legal proceedings because I can proof that I am not a reckless surgeon. After all, it gives me plenty of CPD points for my re-accreditation. But now, there are several products available that call themselves audit tools. So which one is the best for you? The most common types of audits are organised though professional standards bodies, such as Colleges or Professional Societies. Most of these audits are registries. In a Registry, you enter data and send them electronically or as a paper copy to the central administering office. The office will review the data and analyse them. 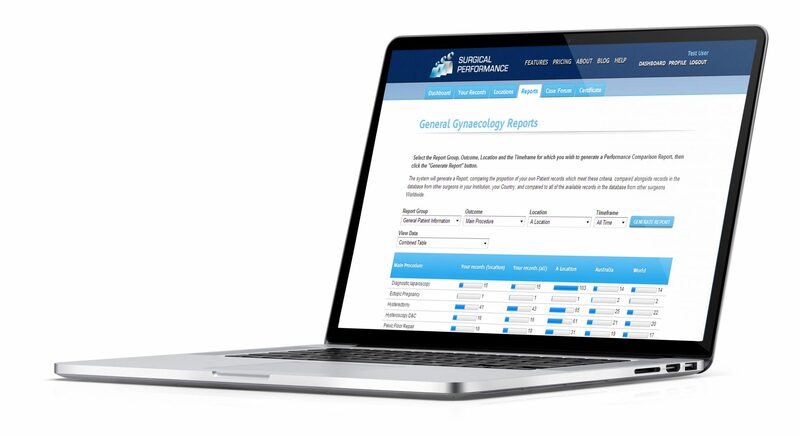 The central office will compare your clinical outcomes with the outcomes of comparable peers. Should you be an outlier, they will contact you and determine a way to resolve the situation. Examples of a Registry include the Urogynaecology Database, the Australian Joint Registry or the Royal Australian College of Surgeons audit, which is mandatory for general surgeons in Australia. By contrast, SurgicalPerformance is a Community of Users. SurgicalPerformance is independent and does not answer to a College, hospital or a Professional Society. Surgeons have developed it and its data fields are carefully selected to represent meaningful and accurate outcomes. Our aim is to provide you with feedback about your actual clinical indicators. In addition, the plurality of other users forms a reference group. We are able to calculate averages for your patients’ cohort as well as for other users’ patients’ cohort; and we present those data to you in numerical and graphical form. There is no hierarchy, no threat and you will remain unidentifiable throughout in SurgicalPerformance. We do not submit your outcomes to any legal entity and should your outcomes be poor, no one will know about it. Not even courts will be able to subpoena this information. The only person who will learn about your outcomes is you. Most surgeons are well trained, motivated and well intended. They don’t need to be bossed around and get told about their failings by administrators who don’t see patients. SurgicalPerformance is different. If you are well trained, motivated and well intended you will be very keen to do a great job with your patients. SurgicalPerformance will give you the tools to know.